The feast of Saint Francis of Assisi is celebrated on October 4th. While many churches host animal blessings (click here for tips on animal blessings) St. Francis Day is also an opportunity for study and education. Paraclete Press offers a variety of books on Francis. These volumes can help you prepare for a Sunday school lesson, sermon, or adult study. The first book is a children’s book, the second would be perfect for middle schoolers, and the remaining titles are aimed at older youth and adults. 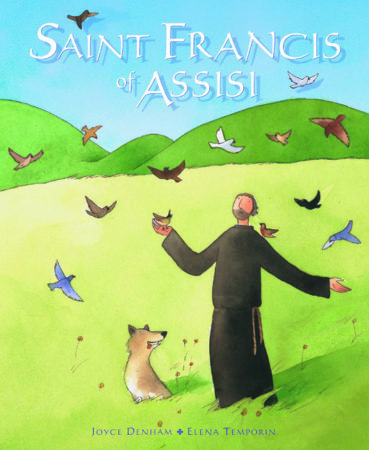 See Saint Francis come to life as never before in this colorful graphic novel. 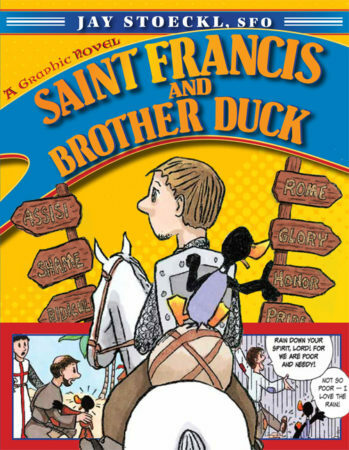 Set in the hill-towns of Italy, Francis saves the life of an innocent duck, the only fictitious character in the story, and the two become each other’s inspiration. As they grow in faith and friendship, Francis recognizes in Brother Duck everything that he desires in living the life of the Gospel: humility, poverty, and a childlike imagination. Readers of all ages will enjoy the humor and ageless wisdom of this famous story, vividly retold, scene-by-scene. Originally published in French in 1894, Sabatier’s was the first modern biography of Francis of Assisi. It was a worldwide bestseller, and in 2003 when this new edition was first published, it again sold more than 60,000 copies and was a selection of History Book Club. 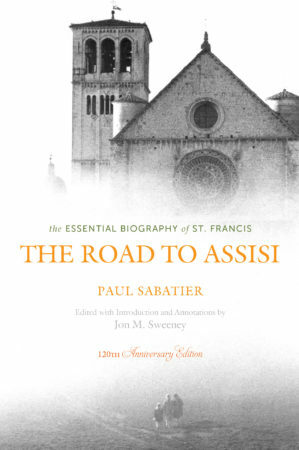 This new 120th anniversary edition includes a dozen additional annotations and a new preface by the editor, putting Sabatier’s influential work into its historical context, showing why it is still the most essential life of the saint. Biographies will only take you so far. 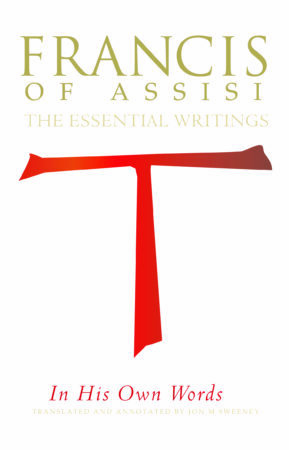 It’s impossible to truly understand Francis of Assisi without reading his writings. Sweeney has compiled all of the ones that we are most certain come from Francis himself, including his first Rule of life, the Rule he wrote for the Third Order, letters to friends, letters to people in power, messages to all Franciscans, songs, praises, canticles, and his final spiritual Testament. An introduction and explanatory notes throughout the book help to put the writings into historical and theological context. 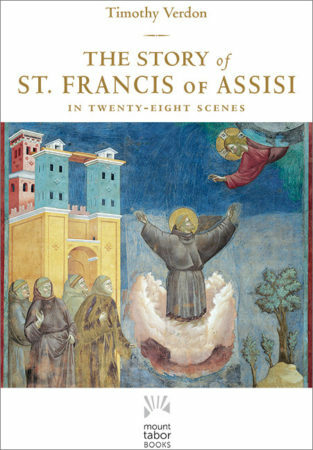 This beautiful new book by renowned art historian Timothy Verdon tells the story of the life of St. Francis of Assisi in story and art. The 28 stunning thirteenth century frescoes by Giotto that cover the walls of the famous Basilica in Assisi named for the saint are reproduced in full color, together with a schematic drawing showing their placement in the church. Through detailed descriptions and illuminating commentary on each of the famous frescoes, Verdon tells the story of Francis’s extraordinary life, allowing today’s reader the opportunity to “read” the art on those walls in the same way that a medieval Christian might have done. 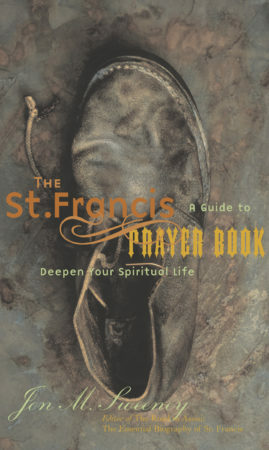 • Pray the words that Francis taught his spiritual brothers and sisters to pray. • Explore Francis’s time and place and feel the joy and earnestness of the first Franciscans. • Experience how it is possible to live a contemplative and active life, at the same time. 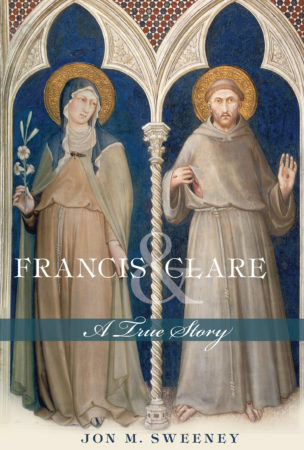 This joint biography illuminates the lives of Francis and Clare and their way of life. It shows how they were bound together by devotion to God as well as the violent objections of their families to religious life. It explores a variety of issues they faced, including the treatment of lepers in medieval society, corruption in the church, and attitudes toward the created world. You will learn how Clare’s spirituality influenced that of other prominent women, how Francis lost control of his own movement, and why Francis’s body was secretly buried after his death. Paraclete Press was incorporated in 1983 and is the publishing house of the Community of Jesus, an ecumenical monastic community rooted in the Benedictine tradition. Located on Cape Cod, Massuchusetts, the Community of Jesus is made up of over 300 members including vowed religious brothers and sisters, families and singles. Many of the employees of Paraclete Press are members of the Community of Jesus. If you visited Paraclete (which we’d love to have you do!) you would meet dancers, singers, actors, artists, pastors, teachers – our backgrounds are varied, but our vision is common. It is our mission to publish books, music and videos which remind us, “Never lose hope in the mercy of God” (The Rule of St. Benedict). Although Benedictine spirituality is at the heart of all we do, we are an ecumenical publisher, presenting works that unite us and enrich our understanding as Christians, whether Catholic, Protestant, Orthodox or Evangelical. Paraclete publishes about 40 books a year and distributes the recordings of Gloriæ Dei Cantores and the Monks of Solesmes, France. We also publish sheet music and an award-winning line of educational videos. For more information, contact Pam Jordan, Director of Marketing.